Anna Anderson has been teaching and giving demonstrations on wet felting techniques for several years. She is a fiber artist living in St. Regis , Montana with my husband, two teen children, and a variety of fiber and farm animals. Anna is a fiber addict by heart, and enjoys all things fiber related. Hobbies include spinning, felting (both wet and needle felting), raising and rescuing fiber animals. She enjoys sharing the different techniques that she has discovered to create fun one of a kind fiber creations. I raise my own small flock of non-lamb burger sheep, love to knit and spin, and am fortunate to have a willing husband who will build almost anything for my sheep and craft - usually - I once almost had him convinced that I wanted to raise silkworms! I enjoy all the prep work with my wool and am excited to see a year's worth of dirty growth turn into beautiful fluff - ready to be dyed, spun, and made into exciting products. I attend various fiber conferences and fairs in order to keep current, look for new opportunities to learn, teach, sell, and especially to enjoy the ambiance of other artists. Beautiful Joinings for Pin Loom Squares and More! 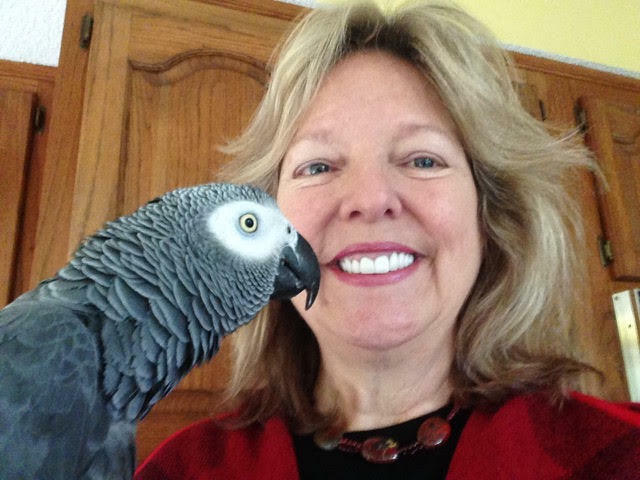 ​Patti Barker is an award-winning felt wear designer, teacher and author. She earned a BA degree in studio art with a concentration in fiber at Western Washington University in 2017. All of her designs are produced with felted seams (no sewing). The fabric and garment are created simultaneously, using wet felting techniques. What makes her work unique is that she dyes most all of the elements in her designs, and spins complimentary art yarn to use as embellishment. 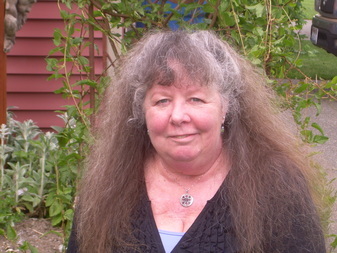 ​Patti lives in the San Juan Islands with her husband, Rex and their parrot, Baby Huey. Heather is the owner of Purly Shell Fiber Arts LLC, a full service yarn and fiber shop in Ilwaco, WA. In addition, she has shown rabbits for over 25 years and is a founding member of Northwest Angora Rabbit Association, Lower Columbia Rabbit Breeders Association and a board member of National Angora Rabbit Breeders Club. Her rabbitry Oceanside Angoras, is the top Satin Angora rabbitry in the nation, along with highly ranked in English and French. Having angoras blends two passions together, the love of spinning and fiber and the love of rabbits. continually improve her knowledge of fiber structure. She has been successful in weaving a wide range of structures, utilizing many types of fibers from wool, linen and cotton, to wire and weaving with un-spun wool locks. Karen is also an accomplished spinner and dyer, learning these skills to compliment her weaving. Color is important and she has learned to work with color to provide an additional dynamic to her weaving. Karen’s education in weaving, spinning and dyeing has come from some of the most knowledgeable teachers available including Judith McKenzie-McCuin, Norman Kennedy, Ann Fields, Joan Roan, Sarah Anderson, Barbara Doyon, many local experts and a variety of HGA Learning Exchanges which included weaving, dyeing, and spinning. Karen has worked with many different types of looms including: countermarche, counterbalance, jack, draw loom, rigid heddle, frame and Inkle looms. She has a wide variety of spindles and spinning wheels, and about a dozen different types of looms. Alternate Director and Reporter), ANWG-Associated Northwest Weavers Guilds. Allison Harding (aka Fleebers) still remembers the pattern for her first knitting project at age 7; an orange acrylic scarf! Then her mom gave her a treadle sewing machine, which launched Allison into a lifetime love of all fibers. She is an award winning fiber artist who knits, crochets, weaves, felts, dyes, cards, spins, sews, and more. If it’s fiber related she’s either tried it or it’s on her bucket list. ​While working as a costume designer for Studio East School for Performing Arts, Allison fell in love with teaching. Allison shares those skills and love of design in her knit and crochet patterns published by KnitPicks, Cascade Yarns, Skacel, Knit Circus and Loose Threads magazines and the book “Simple Hip Knit Scarves”. She strives to explain not only the how, but the why, of everything she does in fun and innovative ways. Allison loves ALL the colors and playing with pointy sticks. Kay Harradine has been weaving for over thirty years and has been a serious student of basketry during that time, pursuing both contemporary and indigenous forms of the craft. She specializes in working with plant fibers harvested responsibly from forest, wetlands and her garden. She has attended workshops with many local and nationally recognized master weavers and instructors. With degrees in Forestry and Education from the University of Washington, she benefits her basketry students with ethno-botanical knowledge and strong teaching skills. 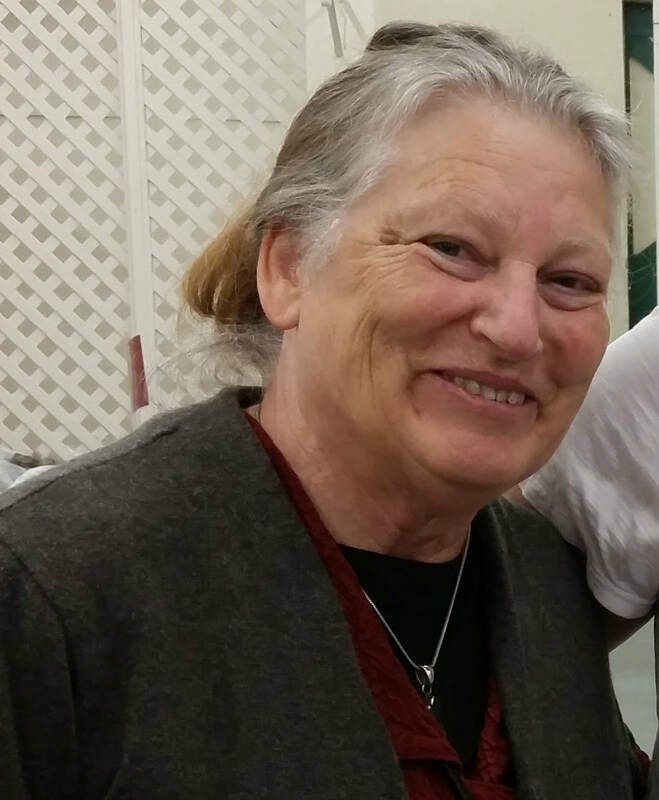 Kay has taught for Pacific Weave (The Basketry School) and through Washington state community education programs and for regional Basketry and Weaving Guilds and Conferences. 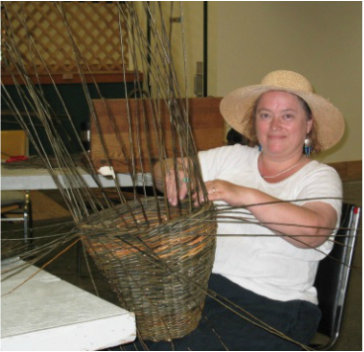 She is an active member of several artists’ and basketry guilds, and regularly promotes the art of basketry by creating educational displays, demonstrating weaving, and volunteering for children’s programs. 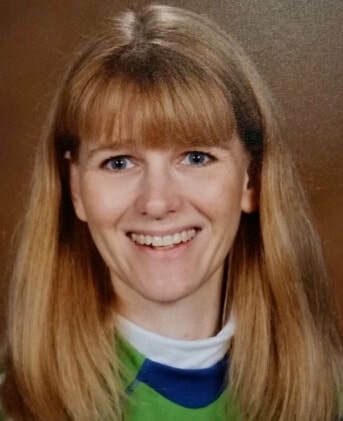 Tandy is an avid knitter and crocheter with over 15 years of experience. Her key philosophies are: if you enjoy what you are creating, then you are doing it just right and you are capable of working any pattern with patience and perhaps some extra help and guidance, which she loves to provide. Tandy loves exploring new stitches in both knit and crochet and learning new techniques. Her unquenchable quest for knowledge keeps her always learning and trying new techniques, patterns and crafts. She is always eager to learn all she can about fiber related subjects and loves sharing the tidbits she learns with other crafters. This insatiable desire for knowledge and sharing, led her to begin teaching in 2013 on a wide range of knit and crochet techniques. ​Michael Kelson of "SpinPossible Yarn" is the coordinator for the annual Men’s Fall Knitting Retreat and the Seattle Men Who Knit meet-up. By day he is a software professional, but on weekends he’s usually out and about with his miniSpinner in tow. 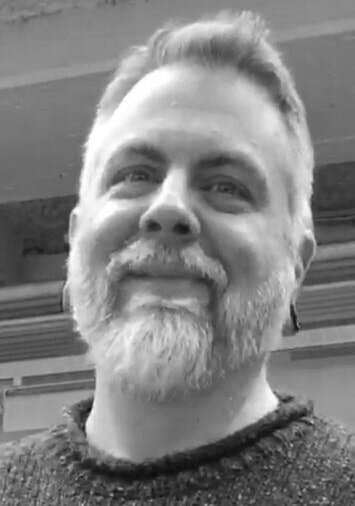 Michael teaches spinning classes at Weaving Works in Seattle and also teaches regularly at fiber festivals across the Pacific Northwest including Columbia Gorge Fiber Festival, Knot Another Fiber Festival, NWRSA Conference, and Black Sheep Gathering. Judith MacKenzie has spun, woven and knit for many years. Her love of textiles has led her to many places, including Peru and Turkey. She has taught throughout North America and Europe. 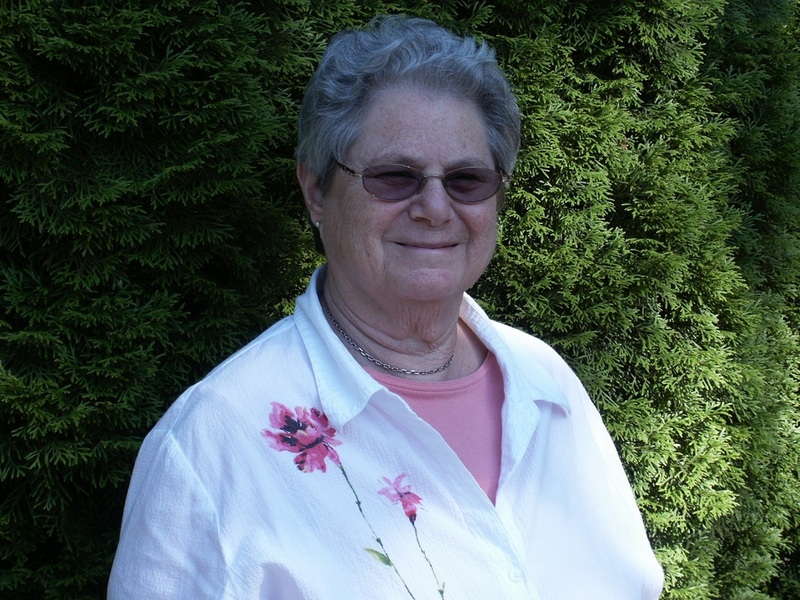 Judith is a frequent contributor to SpinOff, Handwoven, Piecework and Interweave Knits magazines. She has 10 DVDs, and 3 books published on spinning: Teach Yourself Handspinning, The Intentional Spinner and Rare Luxury Fibers. She lives happily ever after on the wild northwest coast of America. Liz Moncrief is a recent retiree from the US Forest Service in Colorado, and made the move to Washington in 2014. A crocheter and knitter since childhood, it seems as though Sari has always had crafts and fiber in her life. Later, as a seamstress and costume designer, her love of textiles continued to grow. Learning to spin over 10 years ago was a natural extension of her love of craft and a desire to learn the beginnings of her fibers and fabrics. Once Sari sat down at a wheel there was no turning back. Recently she learned to weave in order to have a greater use for the miles of handspun yarn in her stash! Loving fiber and spinning as she does, it was a given that she would want to share her passion with others. Six years ago, she started teaching others to spin, on wheels and spindles alike. 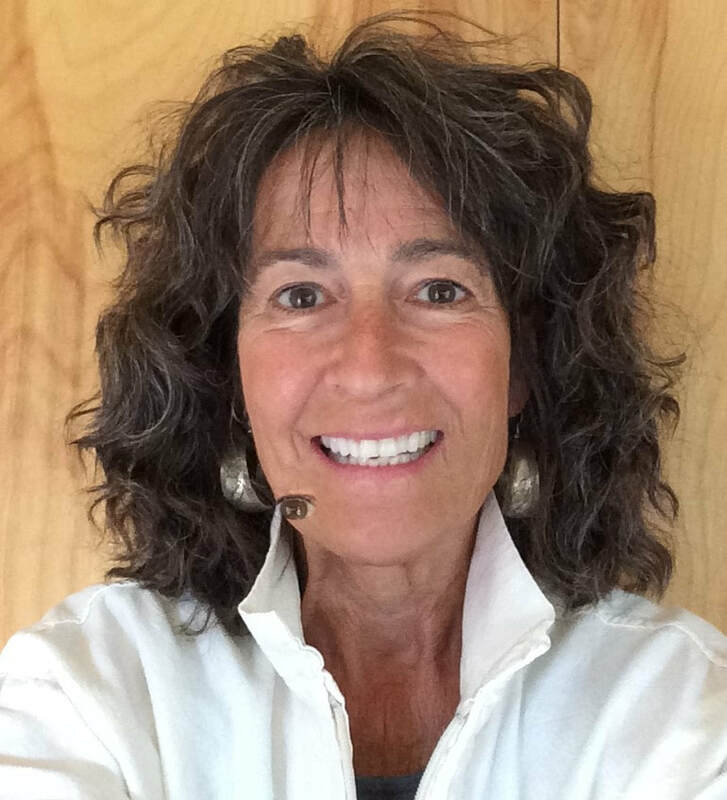 Sari offers private lessons in her home, your home, or any place in between. She also teaches at local yarn stores in and around Portland, OR. Laurinda Reddig is the founder of ReCrochetion Crochet Retreats and Ficstitches Yarns Crochet Kit Club. 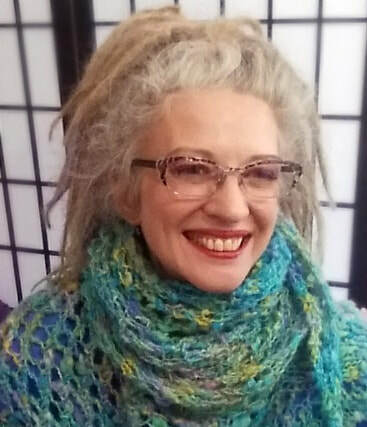 She enjoys experimenting with unusual crochet techniques and uses over 30 years of crochet experience to develop new twists on standard techniques, break them down and teach them through her designs, books and classes. Her second book, Reversible Color Crochet: A New Technique, teaches the reversible intarsia technique she developed. Her innovative designs and articles have been published in various magazines, including Interweave Crochet, Crochet!, and Vogue Crochet. She is currently designing for Ficstitches Yarns Kits and a series of booklets inspired by the Unraveling historical fiber fiction series. When not crocheting, Laurinda is busy raising two children and sharing her love of arts and crafts with them. 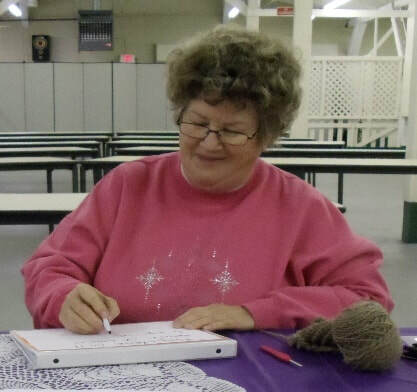 Barbara learned to knit when she was 5 years old and has a life long love affair with fiber. In the early 90’s she started spinning and quickly realized the pairing of spinning with knitting allowed the exploration of fiber, color and texture. ​Kirsten Smistad spends her days teaching music and computers to elementary aged students. She also teaches instructional technology to school district staff members. She has taught workshops in using Ravelry at several fiber guilds. Kirsten learned to knit and crochet at her mother’s knee. Upon entering graduate school, she found that working with fiber at night allowed her to actually sleep, instead of roiling through classwork in her head. She is also an avid spinner and a beginning weaver. 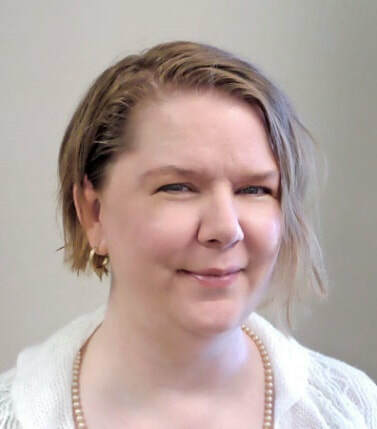 Kirsten has a PhD in Instructional Design for Online Learning and lives in Stanwood with her husband and a cat named Alexander Graham Bell, who is also interested in the fiber arts . . .
​Hazel Spencer is owner, with her husband Randy, of Hazel Rose Looms and they have been making small weaving looms since Oct of 2000 and have sold looms worldwide. ​She taught art, including weaving & other fiber arts, to all grades at the local K-8 school for 17 years. She has been teaching weaving on the internet and at her booth at fiber fairs for many years. Making clothing & useful items for the home is her favorite use of her hand woven fabric.